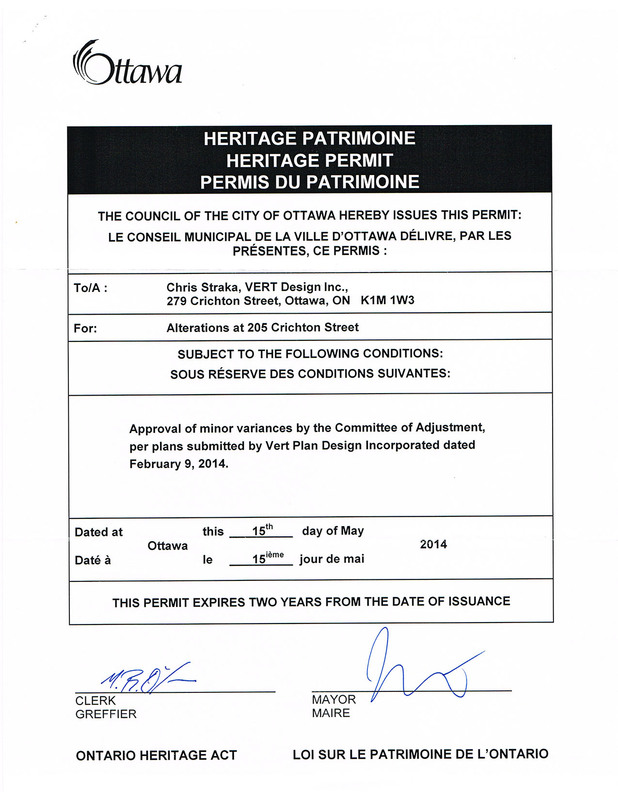 The Heritage Permit for the proposed renovation and addition to 205 Crichton Street arrived from the City of Ottawa today. Even though we have been working toward this one piece of paper since late 2011 (since last fall in earnest), the accomplishment is somewhat anticlimactic. I have always had confidence that we would get this far. The steps that are to come are less certain. On to the Committee of Adjustment.